Why is Apple giving Facebook the cold shoulder in iOS 5? 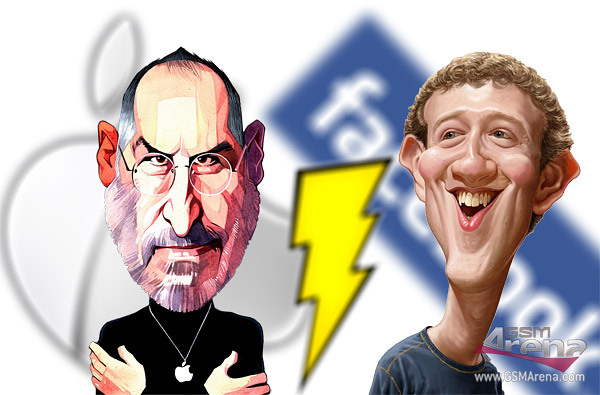 Does Apple have a genuine beef with social networking giant Facebook or is it just irreconcilable differences? The lack of a proper Facebook integration in iOS is prompting a lot of questions – especially now that we see Twitter embedded in and out. Apple execs also seem to go out of their way to keep Facebook out of the conversation. Rumor has it, Apple and Facebook supposedly had some talks about involving Facebook into Apple’s own music social network attempt – Ping. Sadly we’ve seen no progress so far. Steve Jobs had a comment for those fruitless talks, saying that Facebook had “onerous terms”, to which Apple couldn’t agree on. If you are on top of your SAT game, you’d know “onerous” means “involving a fair amount of difficulty” and would suggest that Jobs was handed out a proposal much to his dislike and Apple isn’t one to kneel under nonnegotiable terms. Now Ping is Apple’s own social network with music-centric orientation. It essentially connects iTunes users, enabling them to share, comment, like music from the ample iTunes store and Facebook has no part in it. Now Facebook is home to some good 600-plus million users, with whopping 200 million logging in through their mobiles. You can be sure that many of those people are using iOS and would like a deeper, more convenient social integration with their Apple account and friends through their iPhone. That’s not to say that those people don’t have access to a free dedicated Facebook app but the means to connect through your iOS device is sort of limited, at least compared to the Android one. For example when you snap a picture and hit the share button the Facebook options is ominously missing. That’s not cool. Tonight Apple officially unveiled iOS 5 and alongside with it, the all new Twitter integration, which spans from the notification center through the picture gallery to the Maps app and it’s something people have anticipated to include Facebook too. This could be viewed as Apple’s attempt to backup Twitter against the ever expanding Facebook or it could be something else. Word is even Google is literally paying Apple to be the default search engine in mobile Safari and the default mapping app to be Google Maps, so perhaps Apple wants some benefits from Facebook too before they implement their service tighter in the OS. But if we’re listening to the voice of the users, perhaps it should be the other way around with Apple going the extra length to include the popular service on their mobiles. How hard and “onerous” can that be? Every smartphone out there already has that. Well, we may never know the real reason behind that move and I’m not in the position to judge how one of the most successfully tech manufacturers does its business. What’s important is I really would have enjoyed some tighter integration of Facebook within iOS and it’s nowhere to be seen even in the latest version 5. How come, Apple, how come?